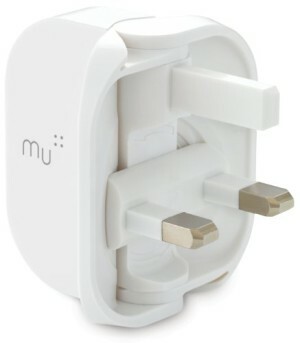 The Mu USB Charger for Smartphones based upon the award winning Folding Plug design concept of Min-Kyu Choi. Folds flat for storage, with a single action of rotating the live and neutral pins. Stylish and compact with a 1Amp output will charge all smartphone devices via a USB cable socket at the rear of the product. Ideal for people on the go needing power for the devices they love.